If you're looking for an affordable and convenient alternative to traditional paper scrapbooking, digital scrapbooking may be the right choice for you. Thanks to Jane Conner-ziser's Create Scrapbook Pages in Photoshop Elements, learning to design stunning digital layouts in Adobe Photoshop Elements is easier than ever before. 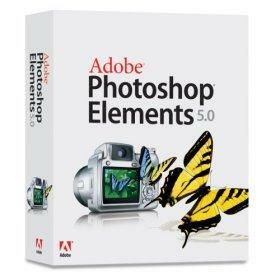 Adobe Photoshop Elements is the home version of the Adobe Photoshop software used by professional graphic designers. Photoshop Elements has a number of features that make it a great option for the digital scrapbooker. However, if you don't consider yourself a tech-savvy crafter, the process of learning to create digital layouts in this program can be somewhat overwhelming. Since each of the lessons in Create Scrapbook Pages in Photoshop Elements is less than 15 minutes long, this DVD is a great instructional tool for the busy scrapbooker who wants to start creating digital layouts in a hurry. Recently, Jane Conner-ziser took some time out of her busy schedule to answer a few digital scrapbooking questions for the readers of LoveToKnow Scrapbooking. How did you first become interested in digital scrapbooking? I have been interested in all digital arts since the beginning. It's magic to me. I became interested in scrapbooking when I realized how many people were doing it and how they could benefit from learning how to use technology. At first, my interest was purely in an educational sense because I knew how much easier and cost effective digital scrapbooking would be, even when used in combination with traditional processes. While learning about the industry I realized how important it is for families to document their lives and events and while creating my own first pages, I understood for the first time how much positive energy flows into the page designs and how every decoration is a decoration of life. A gift of a scrapbook is one of the most personal expressions of thoughtfulness I know and I have developed great respect for the scrapbook industry. How would you describe your own personal scrapbooking style? 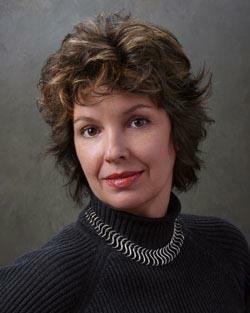 My personal style would be considered traditional with a touch of grace and a sense of humor - much like me, I guess. I have to think that all scrapbookers reflect their personalities in their work. That's one of the things that makes it so interesting. In your opinion, what is the advantage of digital scrapbooking compared to traditional paper scrapbooking? To me, it's everything - complete control over my designs, unique touches that I make myself, no waiting for things to dry or running out of something I need more of, nothing discontinued, I can make books in any size I want, when I want more than one or different sizes of the same book I only have to design it once and then choose how many copies or what sizes I want ... I can even use professional bookmakers, like Marathon Press, to make hard copies for me via the internet or print larger images for wall art ... no allocated house space for boxes of materials and tools ... I can share my pages via internet .. is that enough? What supplies do I need to begin creating digital scrapbook pages? Does it matter if my computer and digital camera aren't top-of-the-line equipment? It depends how "deep" you want to go - if you just want to make pages up to 8 1/2 x 11 inches in size and use them with photography you already have printed, all you need is a decent computer (512 RAM, a middle of the road processor and a few GIGs of hard drive), Photoshop Elements software, and a printer, like one of the consumer Canon or Epson printers that prints up to 8 1/2 x 11 inches. I can tell you, though, that once you test the water you're going to want MORE - eventually you will want to add a means of getting photographs onto your computer so you can incorporate them more creatively into your page designs (a digital camera and/or a scanner) and maybe output to larger sizes - upgrade the printer to one that outputs to 13x19 paper. Top of the line is not necessary, especially when you realize you will want to upgrade every two to four years. Buy something decent, but not something you will not realize benefit from by the time the technology is obsolete. In your opinion, how is Create Scrapbook Pages in Photoshop Elements useful to the novice digital scrapbooker? The DVD is designed to present all of the basic things scrapbookers like to do in a non-technical, easy to follow along with manner - you get to watch the DVD like a movie while you are working on the same file that I am. You can pause, stop, rewind and fast forward just like on your TV. My goal in making it was to not only to show the things you can do by clicking and dragging on pre-created graphics and patterns that are included with the software, but how you can use Elements to make your own papers and decorations. A newcomer can start with the easy sessions and progress into the more advanced ones later. Why do you feel that Adobe Photoshop Elements is well-suited to digital scrapbooking? Do you use this software exclusively or do you use a variety of programs to create your pages? The thing I like about Adobe Photoshop Elements is that the software is designed to allow users to create whatever they want to make and output their creations wherever they want to. In other words, the software doesn't exist in order for the use to buy the manufacturers products. Because of this, Elements offers unlimited opportunities for creativity and diversity. The latest version of Elements also contains the amazing Artwork and Effects palette that was created especially with scrapbookers interests in mind. This palette doesn't even exist in Adobe's pro version, CS3, so I prefer Elements for a lot of my design work. I use CS3 as well because of the more advanced features it contains, like layer masks and expanded options for image adjustments, but CS3 is not necessary; it's just a choice. I also use Corel Painter and Painter Essentials when I want to literally paint on my pages using digital technology. What do you do with your digital scrapbook pages when they are complete? How can I make sure friends and family have a chance to enjoy my creations? I like to put my pages on the wall or in frames to give as gifts. I actually have a portrait line based upon scrapbook style composite work. When I make a book, it can be printed hard bound, wire bound, or put into an album - it's amazing how many choices there are when you use technology. Sharing books is even easier because you can ship them via internet anywhere in the world. You can also post them on your family website and build a library online. If you're into hard copies, like I am, you can output as many copies of the same book as you want - and every one is a first edition. I like this option because as much as I like designing a page once, I don't like to do it twice. What are some of your favorite resources for people who are interested in learning more about creating digital layouts? I look at all of the magazines, watch the TV shows once in a while and search out sites online. I'm always keeping my eyes open for something interesting that I can incorporate into my work. It's not always from scrapbooking resources, however, because art is everywhere and you never know when something will catch your eye and make you think about how you can use that to make something you like for yourself. The latest trends in design are found in magazines like Architectural Digest, on greeting cards, on billboards and on TV commercials. Yes. Technology has leveled the playing field when it comes to education and creation. Anyone can do it and we all have the same advantages. All you need is an idea and a computer and you have the world at your fingertips. Digital scrapbooking can be an accent or addition to traditional processes or replace them. Technology opens doors that you just can't get to in the real world and you're only limited by your imagination so jump in, the water's fine and you'll be swimming in no time! 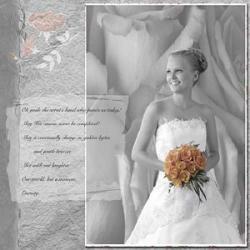 Buy Create Scrapbook Pages in Photoshop Elements from the Software Cinema website. Buy Adobe Photoshop Elements from Amazon.com. ~A review copy of Create Scrapbook Pages in Photoshop Elements was provided by the publisher for this article.